The Book Never Repulsed - Never Defeated has been published. See ordering information below. If you're a student of the Civil War or if you simply have an interest in American history, the book Never Repulsed - Never Defeated should be in your personal library. It's the story of one man's pilgrimage through three years of fighting in Louisiana and Alabama during the War Between the States. These are the battles that time forgot - obscure conflicts that happened during the days when Grant and Lee were fighting for control of the war in Pennsylvania and Virginia. For the most part historians have concentrated on the great battle of Gettysburg, the siege of Petersburg and the infamous march to the sea that devastated Georgia and much of South Carolina. But now the battles of Fort De Russey, Mansfield, Pleasant Hill, Nashville, and Fort Blakely are documented for all time. There is more to this book than war to interest the true historian. The main character of the book is Eli M. Hutchinson, an Iowa farmer and carpenter who volunteered for the war in 1863 and served until 1866. During the 1850's Hutchinson and his family migrated from northern New York to northern Iowa, settled in Mitchell County, established farms and built houses and buildings across the expanding frontier. 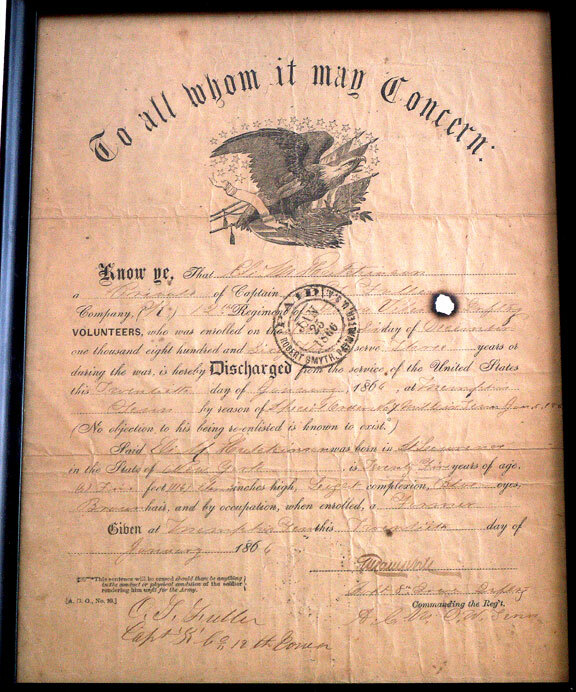 Even though Eli's officers sent him home in 1863 to recover from heat exhaustion and a possible malarial infection, he returned to the 6th Army Corps in 1864, traveling more than a thousand miles by foot and favor to complete his tour of duty and fulfill his promises to the government and his fellow man. 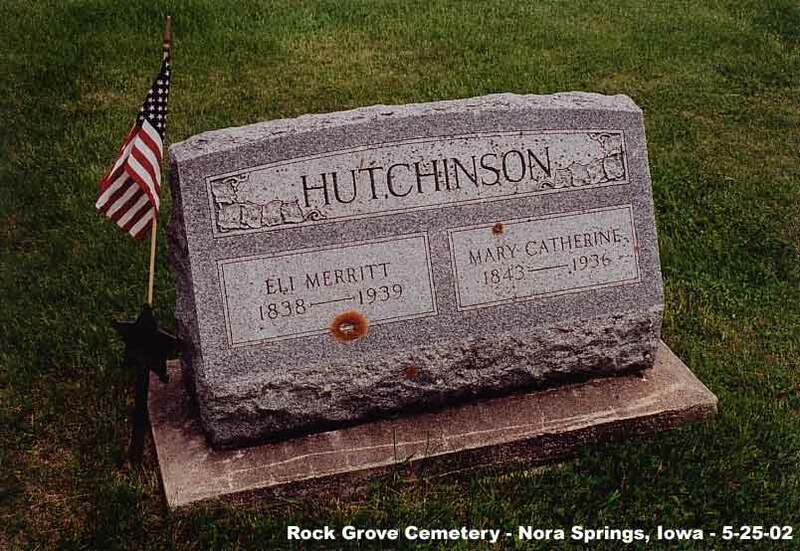 Eli Hutchinson lived to be 101 years old. Hutchinson's comrades were rough men, unsophisticated and accustomed to few luxuries. 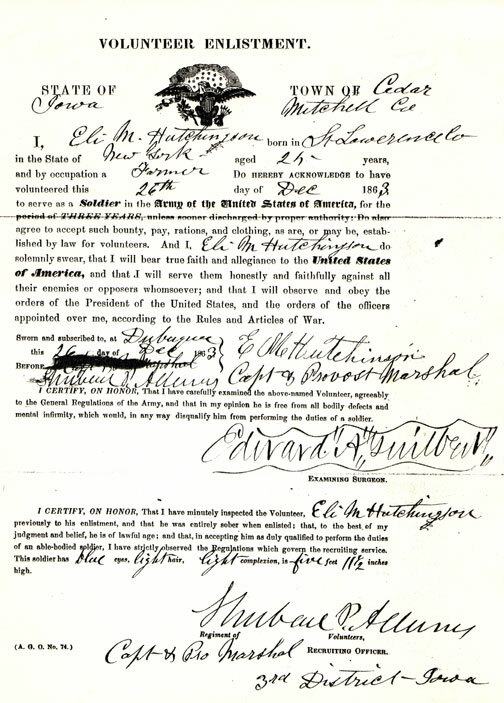 Only Hutchinson was able to sign his name on the regiment roster. The rest signed with an X. 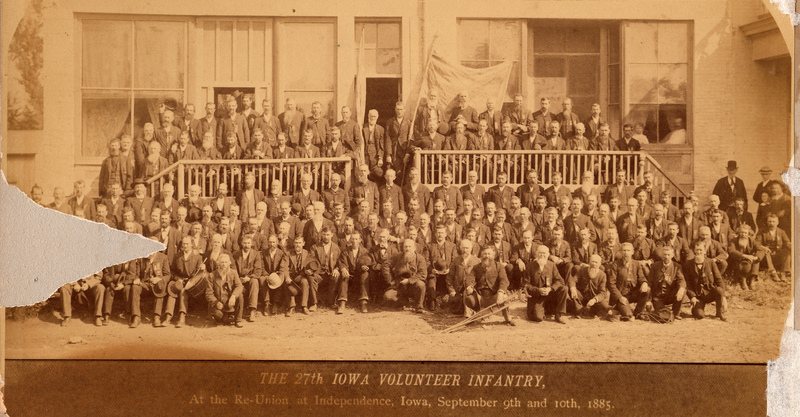 But these Iowa soldiers quickly adjusted to military life and the daily marching and fighting. Among them were committed soldiers who believed in the epic struggle before them. After the war these men returned to their homes prepared to build a new and better world. Hutchinson's officers distinguished themselves not only in battle but also as businessmen, civic leaders and men of letters. 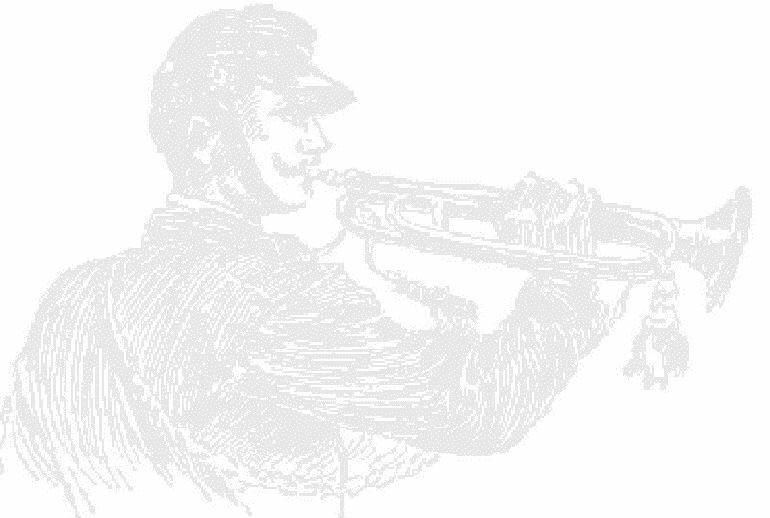 Commanding the 6th Corps was A.J. Smith, a brigadier general who believed in his men and in the cause they fought for. Just prior to the siege of Fort Blakely, Smith was confronted by General E.R.S. Canby who accused Smith's rough Iowans of being thieves. "Canby said to Smith, 'General, I understand your men sometimes take things that do not belong to them.' Smith replied, 'Yes, by God, they will take Mobile and it doesn't belong to them.' After a gentleman's verbal dance, Canby said, 'Why, my cook procured a half dozen turkeys last night, and put them in a coop beside my tent, and this morning I find four of them have been taken.' Smith replied, 'Couldn't have been my men, not my men, they would have taken them all.' "
The Second Brigade was under the leadership of William Tuckerman Shaw. Grim Fighting Ol' Shaw, the men called him. At one point in the book Shaw accuses a Union General of trading in contraband black slave children and receives a court martial for his trouble. But before Shaw leaves military service and returns to his home in Anamosa, Iowa, President Abraham Lincoln reverses the order and reinstates Shaw to his officer's rank. Shaw always expected great things from his men and seldom gave them excessive praise. After the siege of Fort De Russey in Louisiana, Shaw wrote in the official records, "My command had in twelve hours marched twenty-eight miles, been delayed two hours in building a bridge, fought two hours, stormed and assisted in capturing Fort De Russey. A good day's work." Another officer who distinguished himself during the battle for Fort De Russey was Colonel James Gilbert of Lansing, on the northeastern border of Iowa. Gilbert commanded the 27th Iowa, which was Hutchinson's regiment. The Iowans arrived just as the assault on Fort De Russey commenced. "Colonel Gilbert stood, pulled his sword from its scabbard, lifted it high and said, 'Boys, come on.' One soldier wrote in his memoirs, 'From that moment on we knew Gilbert had the true grit.'" But perhaps the most famous - or infamous - officer portrayed in the book was General Nathaniel Banks, who played with the lives of his men as they made their way up the Red River of Louisiana. Banks was foppish and arrogant - a political appointee who knew nothing of military matters. He was eventually relieved of his command. A.J. Smith had problems with Banks early in the Red River Campaign. Banks made a decision to retreat when the Union forces were clearly in command of the situation and could have pressed forward. When Smith heard of the decision to retreat he hurried to Banks's tent and begged him to reverse himself but Banks refused. Then Smith went to a fellow officer, William Buel Franklin, and suggested they arrest Banks and send him back to New Orleans. "Franklin was somewhat of a thorn in Banks's side, but this idea was too radical even for him. He sat at a table stirring a cup of coffee. Franklin thought just a moment and then said, 'Smith, don't you know this is mutiny?' 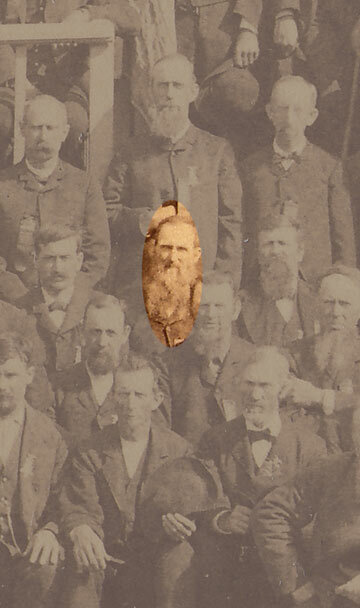 "
Banks is pictured here in the front row, center stage, with his staff surrounding him. The book has been published in CD format. Each CD will contain both Microsoft Word formats, .doc and .docx. The cost for the CD is $30.00 and includes postage and handling. Along with the CD which can be viewed on any computer having Microsoft Word installed, the purchaser is allowed to print a copy of the book on their computer's printer. To order, simply send $30.00 to: Larry Morphew, PO Box 334, Estherville, Iowa 51334. Be sure to include your mailing address as the CD will be shipped to you by United States Mail.